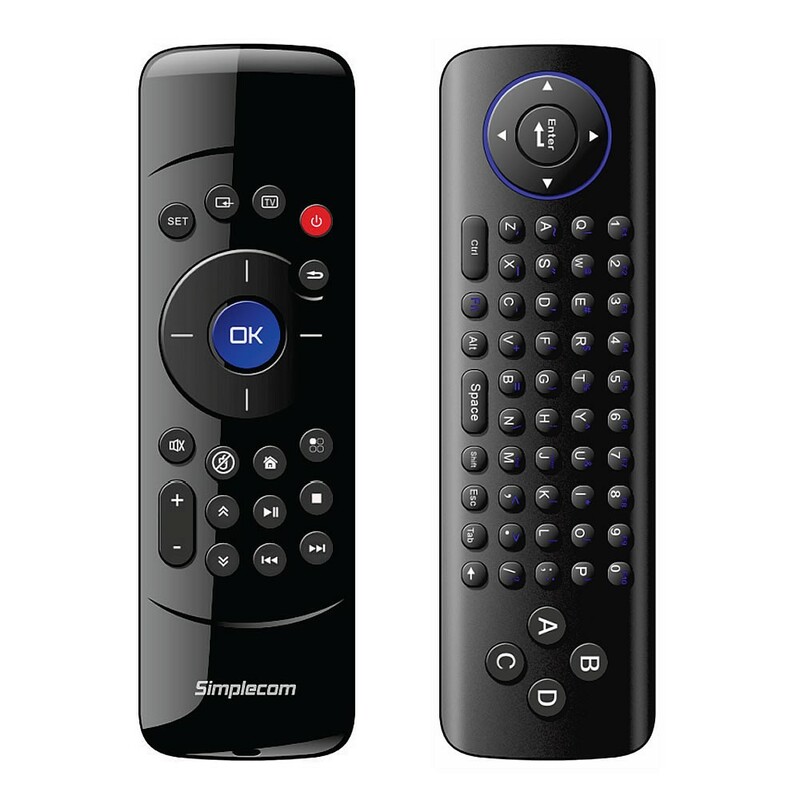 Simplecom RT200 is a 2.4Ghz Wireless Air-Mouse with keyboard Combo, designed for PC, Mac, Android TV Box, and more. 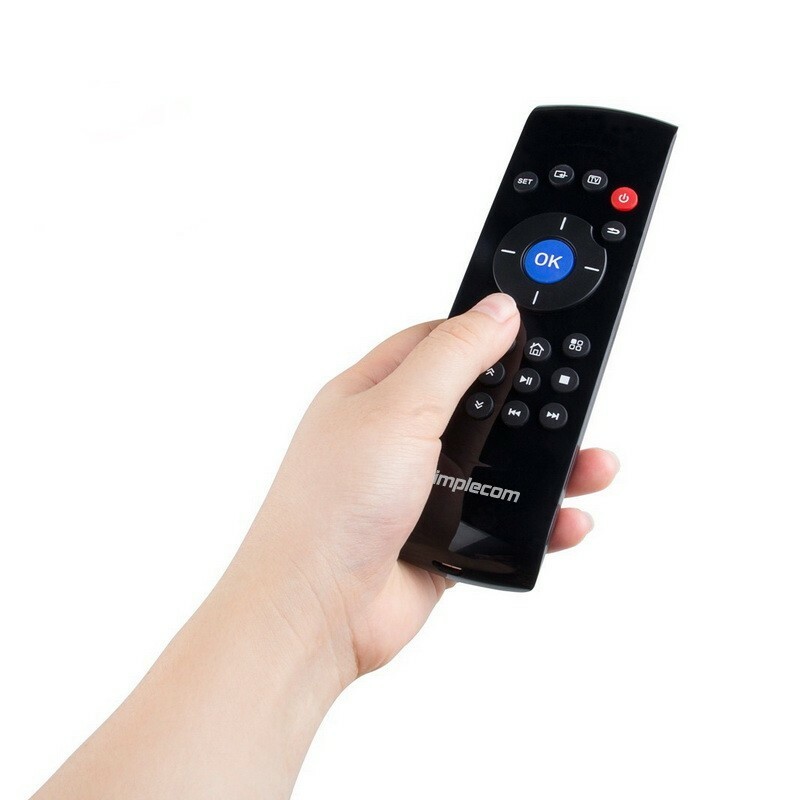 Simplecom RT200 is a rechargeable 2.4G wireless remote controller with the function of mouse, keyboard, multimedia android control and Motion Sense Support. It is plug and play, no software of driver needed. RT200 can be widely used for controlling presentations, teaching and lecturing with larger screen or projector, anyone who wants to control their computers from the comfort of sofa, and the full QWERTY keyboard allows for convenient typing from the same device.